Buying or Selling in the Fall? It's More Likely Than You Think! Unless you have access to a crystal ball, waiting for the "right" time to buy or sell your home could end up costing you money. While traditional thinking might say spring and summer are the best seasons to jump into the real estate market, there are plenty of great reasons why fall is the sleeper season for home buying and selling. 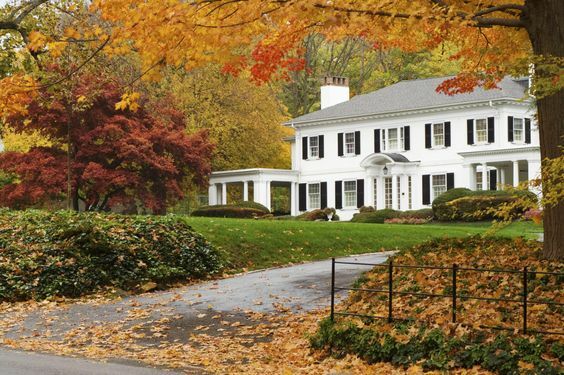 Here are four reasons to get off the fence about fall's real estate market! Major Motivation: Where there are motivated buyers OR sellers, there are savings to be found. Since inventory is typically lower in the fall, buyers are motivated to act fast when they find something they like. On the other hand, sellers are often motivated by mitigating circumstances to list in the fall so pricing may be favorable to buyers. Competition Calms: Because of that historical idea that fall is less appealing, competition can be a bit calmer for both buyers and sellers - and it can be a great thing. With fewer homes on the market, sellers' homes stand out more. With fewer buyers crowding the market, you might have a better chance winning a bidding war. Colorful Curb Appeal: Autumn's colorful leaves, mums, pumpkins and wreath choices make for stunning curb appeal. Money Matters: From motivated sellers accepting a wider range of offers to end of year appliance sales, the fall housing market offers a lot of opportunities for saving money. Get in touch with your SRE Agent to pursue listing your home and/or finding you a new place to call HOME!